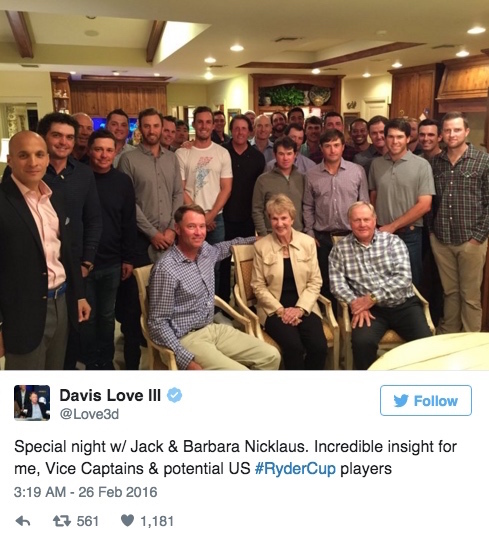 So it was no surprise that Jack's front room got swamped at last week’s Honda Classic when the American Ryder Cup hopefuls gathered at The Nicklaus's for a little get-together. Thanks to Davis Love’s Twitter feed we were able to see who was in attendance including PGA Chief Pete Bevacqua and Vice Captains Tiger Woods, Jim Furyk and Tom Lehman, Zac Blair, Keegan Bradley, Jason Dufner, Tony Finau, Rickie Fowler, Brian Harman, Russell Henley, Billy Horschel, John Huh, Dustin Johnson, Chris Kirk, Kevin Kisner, Brooks Koepka, Jason Kokrak, Jamie Lovemark, Andrew Loupe, Ben Martin, Phil Mickelson, Brendan Steele, Robert Streb, Jimmy Walker and Gary Woodland. Blimey, imagine being left off that guest list. No sign of John Daly in there either. Unless he's got his head buried in the kitchen fridge out back. Team USA hasn't beaten Europe since 2008 and has won only two of their last ten meetings. 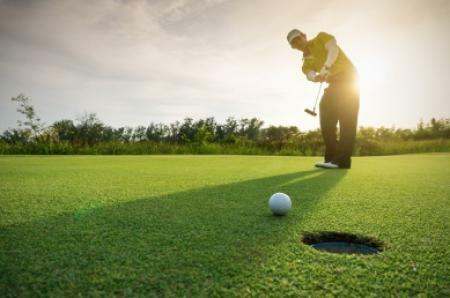 Details of Darren Clarke's European Team get together are yet to be confirmed but we are lead to believe it will involve James Nesbitt, Bono and St Patrick's Day going berserk in a beverage refreshment parlour in Dublin. 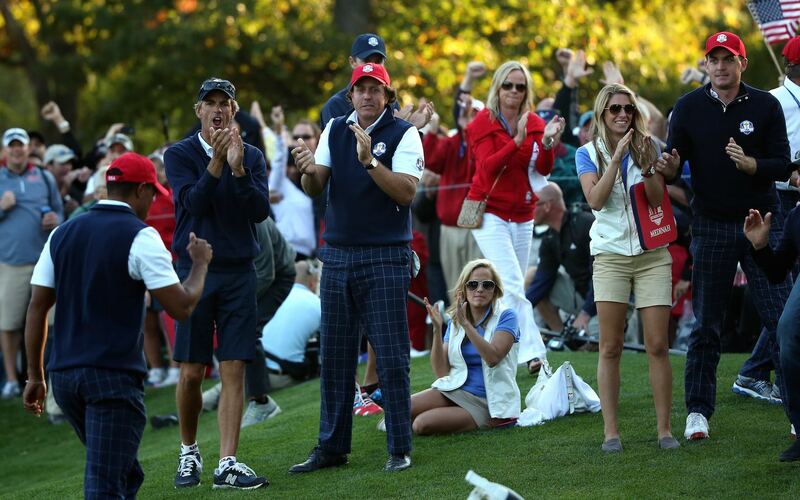 Tiger Woods not fit to be a Ryder Cup Captain!